Ratu Boko Palace is located in Jl. 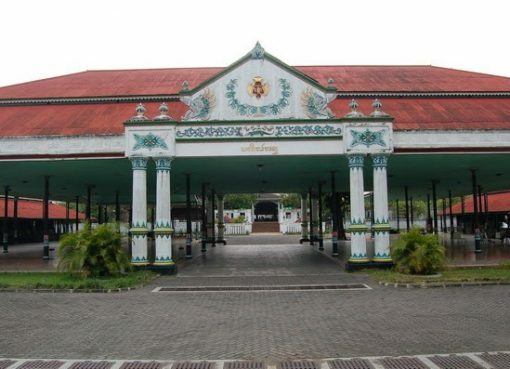 Raya Piyungan, 3 km south of Prambanan Temple at Dawung and Sambirejo villages, Piyungan, or 19 km east of Jogjakarta. It opens daily 6 am – 5.30 pm and it entrance fee charged. 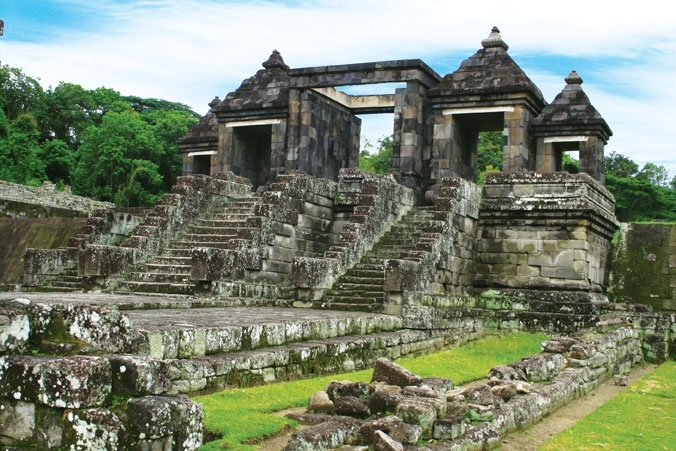 Ratu Boko Palace is a huge complex built on 16 hectares as the residence of King Boko of the first Mataram dynasty. Local legend says that Ratu Boko liked to eat human flesh. Primarily in ruins, visitors must use their imaginations to fill in historical and structural gaps. Gold plates inscribed with Buddhist mantras have been found here dating to 792 A.D, along with stupas and Bodhisattva statues, indicating that at one time it might have also been a monastery. However, Hindu remains such as lingga and Ganesha statues have also been discovered. From the restored main entrance to the right is the Palace’s audience hall that has been restored. On the left of the hall is a Keputren Pool (Princess’ Bath) that was used as a bathing pool for women. Fragments of sculptures and bas-reliefs can be found around the pools: elephants, birds and snakes. Other partial structures are a crematory temple, now only a tall platform bordered by steps and surrounded by parapets; a pendopo (meeting hall) surrounded by a high rock fence with three entrance gates and water spouts outside the fence; a miniature Hindu temple with three small gates representing Brahma, Shiva and Vishnu; and the alun-alun, the town square. To the south of the complex are two caves, probably used for meditation. The panoramic views surrounding the complex are breathtaking. On a clear morning, Mount Merapi and Prambanan and Kalasan temples are visible to the north, while to the south, the Indian Ocean is discernible in the distance.